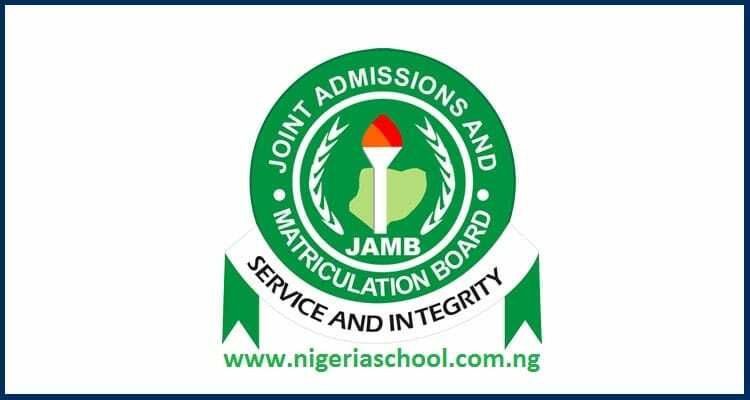 The Joint Admission and Matriculation Board, JAMB 2019/2020 Registration Form is out, Examination and Closing Date announced. The Joint Admission and Matriculation Board (JAMB) has announced the sales of the 2019 UTME/DE registration form. Applications are invited from suitably qualify candidates for admission to Higher Tertiary Institutions in Nigeria for academic session beginning in 2019. JAMB 2019 registration has commenced and will end on 21st of February, 2019. (Update: JAMB 2019 Registration Closing Date is still 21st of Feb.)This article is for applicants that have not yet apply or are finding it hard to understand how to register for JAMB 2019 Examination. Don’t forget to like and share this with your friends on twitter and Facebook. How do I know the true position of jamb form 2017/18 sale commencement date and closing date with cost and processes. We will inform you when the form is OFFICIALLY out. Pls Notify me when the JAMB registration commenced. Jamb 2017 Registration form is NOT on sale yet. We will inform you the moment it is out. Hello! I was told that one is not allowed to chose two public universities, for example, choosing UI as first choice and UNILAG as second choice. Is it true? Please I need urgent answer to this, can a jupeb candidate sit for current jamb and as well to purchase a direct entry form whenever its out? is it possible to register for 2017 jamb in Edo state but the venue of the exam will be in Lagos? pls i need an answer becos i will be going for my induction in lagos the same day jamb exam is to commence. Pls I Need Jamb Past Questions And Answers, Were Can I Get It? According to Jamb, candidates with invalid PINs and those who has not seen their pins are not to buy again. Last year cut off mark was 180 and above. Please, had JAMB Direct Entry Form Application ended? When is jamb Direct Entry application closing? Please how long does it take to get your cormfirmation code ? I sent my name since yesterday and I haven’t gotten the code. The date and centre will be communicated to all candidates in due course. Please try sending it again with another number. why is it invalid? Did you forgot your login details? Well, You will need to visit Jamb office or accredited centres to inform them. I sent my surname first name and middle name to 55019 on Sunday evening.they deducted #50 but they’ve not sent me the code up till now.should I resend it? Please contact JAMB directly on any of the numbers above. I believe that before the date one will be writing his/her own, the center will be sent to him/her before a week time? In due time, candidates will be asked to re-print their exam slip that will contain all the necessary details, that include date of exam and centre. Please i still need a help, because i have beening trying to log in with my email address but is not working, what should i do? Perhaps, you should try the ‘forgot password’ option and see if you can reset your password. pls is DE form still on sale? urgent pls. Jamb form is not on sale. When jamb exams are gonna starling, o often come here by I have never figured out the dated yet, I do want to be deformed. The exam date has been announced and it is 11th April, 2019. We are not sure it is possible.